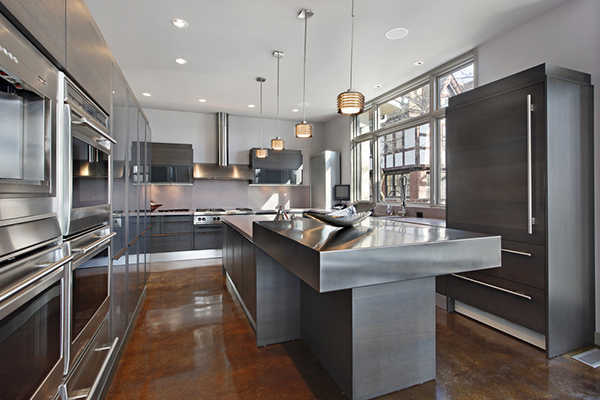 Choose the right type of stainless steel paint. Appliances that get hot, like many stoves and toasters, require high-temperature stainless steel paint. Avoid painting the cooking surfaces of glass-topped stoves and note that some paint types are intended for cast-iron stoves only. Read the labels carefully. Liquid stainless steel is usually applied with a brush as opposed to spray-on products, takes several coats to get good results, and often comes with a clear finishing topcoat. Generally, spray-on products are best for decorative items and small appliances that don’t generate heat. Use painter’s tape around the inside of the door to prevent paint from seeping around the edges. Paint the handles and reattach them to the appliance after drying. Stainless steel paint can help your appliances look newer, but it can’t help them run longer. An American Home Shield® Home Warranty contract includes repairs or replacements of covered items, regardless of age, make, or model. An AHS Home Warranty appliance plan can help protect your budget from unexpected, covered breakdowns that occur due to normal wear and tear. While you’re spiffing up your appliances with stainless steel paint, consider adding valuable AHS protection for them, too.